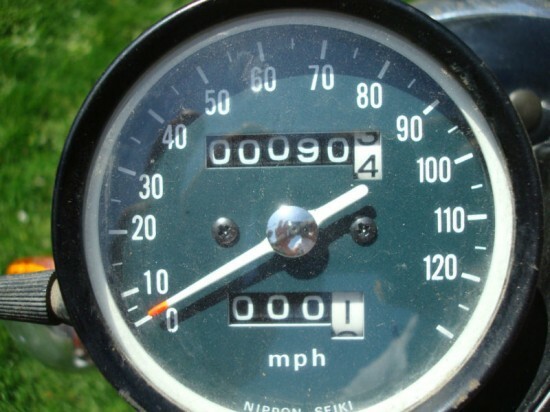 Sometimes I look on eBay to see what motorcycles are for sale in my area. 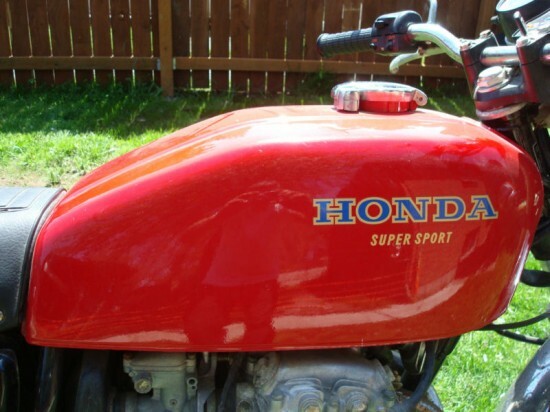 This showed up >5 miles from my zip code and I think after work I am going to start cruising the neighborhood and looking over fences searching for this 1976 CB400 Super Sport. 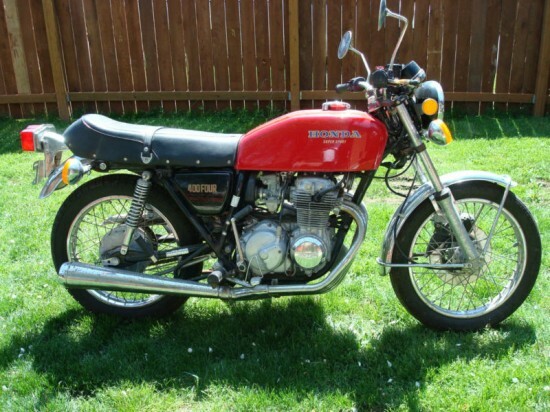 This 1976 Honda CB400F motorcycle has only 90 original miles. It is in as found condition. I have done nothing to it. It has not even been wiped down. It is not running. It has no title. This is one of a pair of these bikes that I purchased together. These were purchased new by a couple in 1976. Rode 90 miles and then stored. I sold the other one on here. Everything on the bike is in great condition with the exception of all the chrome. If it is chrome it has rust. It may clean up. It may not. I would think that the chrome will need to be re-chromed or replaced. The bike turns over good. There are no dents or dings in the tank. The paint is good. 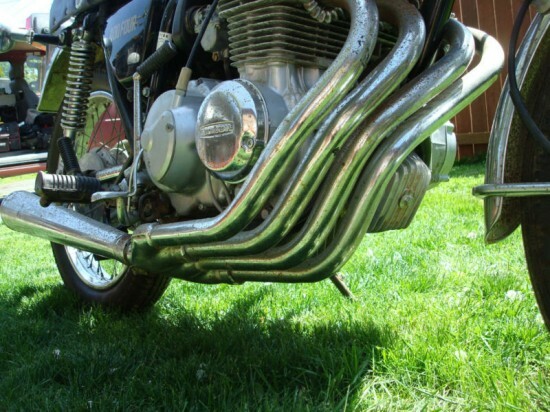 The exhaust is solid with just surface rust. The seat is in good shape with no tears or rips. The frame covers are not cracked or broken. The bike has its original tires. The original tool kit and owners manual are included. Please ask any questions before bidding. Bidders with no feedback please ask before bidding. Can deliver to a freight company in Seattle. The bike is in Seattle. 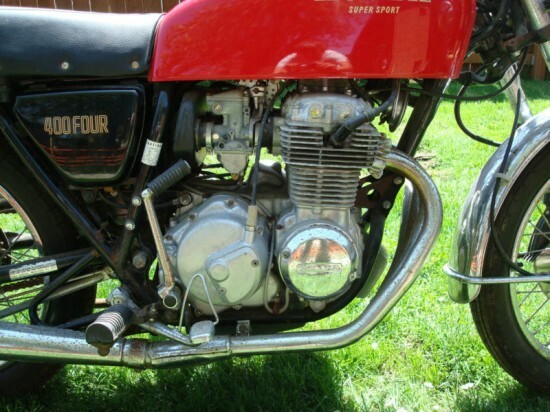 Offered from 1974-1976 the four was an upgrade from the CB350. 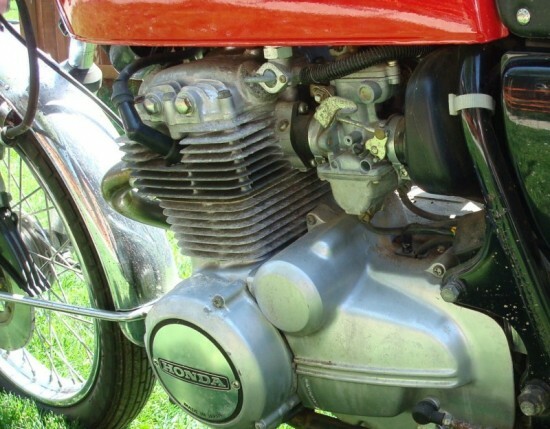 The 408cc had a single overhead cam, offered 9.4:1 CR fed by 4 20mm Mikuni carbs. This combine to produce 37hp at 8700rpm. Really? This couple needed 37hp? This is likely the reason why the bikes only have 90 miles. One or both went for a ride, felt a little scared with the power delivered with a twist of the throttle, and parked it. One couldn’t go for a ride without the other, so the two sat, and aged, and weathered. Then the seller shows up.